Let us instead consider the new Top 40 for the week, beginning with the new entries. Barely scraping onto the chart at no. 40 was a debut hit by an American singer. The young singer visited England to plug this first single pretty comprehensively. No one looked like her. No one danced like her. She incorporated synchronized dance moves into her performance in a way we hadn’t seen since the heyday of Motown bands from her native Detroit. Seeing her miming gamely in her first appearance on Top of the Pops is as mesmerizing today as it was back then. New in at no. 39, was “Human Touch” by Rick Springfield. I know Mr. Springfield was kind of a big deal in the States because of General Hospital, but I can’t say we were impressed. After “Human Touch” made the top 40 in the UK they also released “Jessie’s Girl”, some three years after it went to no. 1 in the US and won Springfield a Grammy. In the UK, in 1984, “Jessie’s Girl” didn’t make the top 40. In at no. 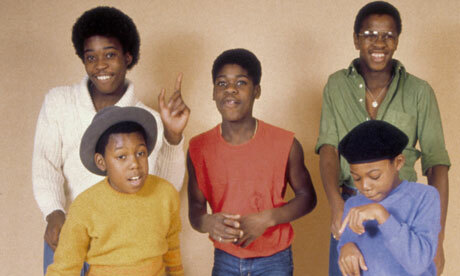 35 was the last top 40 hit for… Biddly Biddly Bong… Musical Youth. Well past their prime and over the hill and still only “Sixteen“. That’s enough to make anyone jump and prance. The new entry at no. 34 was by The Alarm, following up the anthemic “68 Guns” with the nonsensical bombast “Where Were You Hiding When The Storm Broke?”. It’s silly stuff based on a half decent riff and some peculiar hair decisions. In at 31 was “Break My Stride” by Matthew Wilder. There’s nothing to say about this song other than it’s brilliant… and bonkers. It was brilliant and bonkers in 1984 and it’s brilliant and bonkers today. We never heard from Matthew Wilder again after than… or so I thought until I did a little digging. Turns out Wilder produced No Doubt’s breakthrough album Tragic Kingdom including the epic smash “Don’t Speak”. Nicely done Matthew, offering up some genuine karmic balance for your work on the soundtrack to Mulan. There’s another new entry and another one hit wonder in at 28. It’s “(Feels Like) Heaven” by Fiction Factory. Such a shame to waste a great band name like that on a single hit, but I guess there was really nowhere else to go. If you watch the video, it’s clear the band weren’t really trying. They’ve all turned up in the clothes they put on that morning and none of them seem to give a crap about the camera being there. Pity. The song is ace. Seventeen places higher than Madonna there was another American singer making her chart debut. She may have ended up merely as the Christina to Madonna’s world-straddling Britney, but back in 1984 when Cyndi was explaining to all of us that “Girls Just Want To Have Fun” it seemed as revelatory as anything Masters and Johnson came up with. I may have been a 14 year old boy, but when Cyndi sang, “I wanna be the one to walk in the sun,” she was singing for the fun-loving girl in all of us. Three more new entries to go, stay with me. At 20 was the Eurythmics with “Here Comes The Rain”. I’ve quite liked the Eurythmics over the years, but never the obvious stuff. I’m bored silly by “Sweet Dreams” and I never really liked “Here Comes The Rain” so instead I’m putting up the video for their previous hit which doesn’t get nearly as much airplay and which is odd and fun. The second highest new entry was at no 13 – “Wonderland” by Big Country. It’s a nice enough single, but it was never going to match the three single releases from their debut album The Crossing. I’ll lay down a challenge right now to anyone who can suggest a first album with three better singles than “Fields of Fire“, “In A Big Country” and “Chance”. At Stuart Adamson’s funeral in 2001 The Edge delivered the eulogy. He said that Big Country wrote the songs he wished U2 could write. Big Country wrote big songs. And so the highest new entry of the week was straight in at no. 11. Straight from the afterlife. 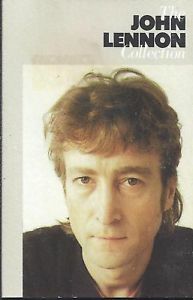 While his former songwriting partner clung on to the top spot, enough unfinished recordings had been cobbled together to put out John Lennon’s only posthumous album of ‘new’ material. “Nobody Told Me” was the first single from it. By 1984, I was pretty much obsessed with John Lennon. I played myself to sleep almost every night with at least one side of The John Lennon Collection. Nobody wanted to love “Nobody Told Me” more than me, but it wasn’t easy. I’m not sure if this is the actual video they put out at the time, but it’s pretty cool either way. There’s some lovely footage of John and Yoko; George and Yoko; Fred Astaire and Yoko; John and Andy Warhol; John and Yoko and Miles Davis. We will never see their like again. No. of books ordered online since last post – 16. It’s a sickness. 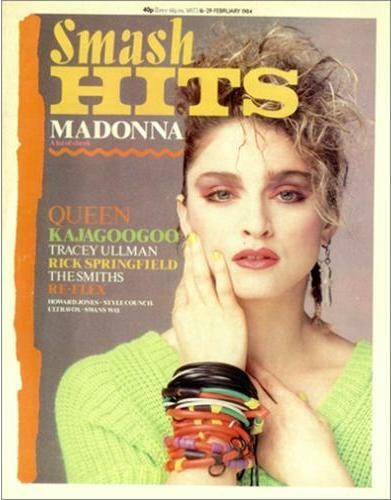 This entry was posted in 30 Years Later, Big Country, Frankie Goes To Hollywood, Music, Paul McCartney and tagged Cyndi Lauper, Eurythmics, Madonna. Bookmark the permalink.